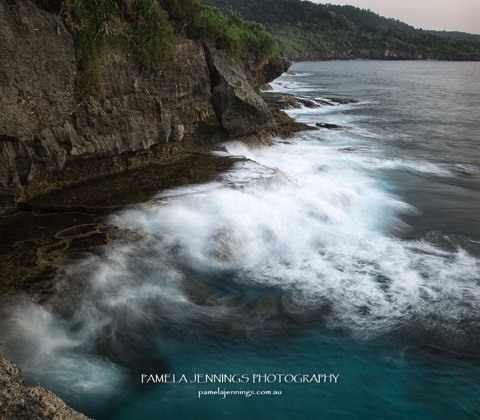 Come and join professional photographers Pam Jennings and Mark Rayner on a magical photography tour of Christmas Island. 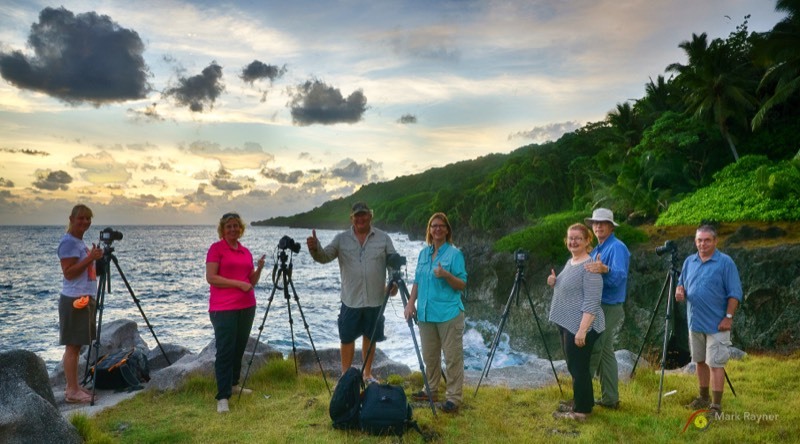 Christmas Island has only recently become a 'must do' destination for the landscape and wildlife photographer. If you are looking to improve your photography in a new and exciting destination, then this is for you. David Attenborough described Christmas Island as the Galapagos of the Indian Ocean. This island will amaze and astound you with it's beauty and diversity of birds and wildlife. As you come in to land on your flight from Perth, you will be struck by the beauty of the clear ocean waters and the fringing reef below. This may only be a tiny dot in the middle of the Indian Ocean but many wonders await. Only on Christmas Island will you find their famous Red Crabs wandering around the terminal to meet you. We depart from Perth International Airport with Virgin Australia direct to Christmas Island. As we approach this tiny spec in the Indian Ocean the clear waters reveal the fringing reef below. The green of the island’s rainforest coverage gives you a hint of the photographic wonders that await. We get a friendly CI greeting at the airport, then it’s into our 4WD’s and off to our lovely accommodation aptly named The Sunset right on the water front with great sunset views. After settling in we gather for a sunset shoot and Welcome BBQ. During our time on CI we will be joined by locals (including some great local photographers) who will share with us their personal insights and add to our CI experience. We are up early to photograph sunrise at beautiful Lily Beach followed by a yummy picnic breakfast. Photographically you can expect amazing seascapes and sea sculptured cliffs with the added bonus of Brown Boobies nesting on the limestone terrace between Lily and Ethel Beach. Our tour has been timed to coincide with the hatching of the Brown Booby chicks. We will take our first look at the Grotto, hidden down a track in the rainforest. Our sunset shoot is at Flying Fish Cove. Evening Aerial Photography Presentation by Pam Jennings. Group 1 will enjoy a morning out on the water. Bring your bathers and jump in for a snorkel in the rich ocean waters that surrounds CI. We will snorkel at three different locations and motor slowly along the coastline to check for nesting birds, photographing the Common Noddy’s on mooring buoys, looking out for the Christmas Island, Greater and Lesser Frigatebirds, the Red–footed, Brown and Abbott’s Booby, and the Silver and Golden Bosun (White-Tailed and Red-Tailed Tropic-Bird). We may also spot Dolphins and other marine life, so if you have an underwater camera, bring it along. Free time in the afternoon. Evening sunset shoot with the whole group at Martin Point. Group 2 – Will take the beautiful rainforest track and walk to Margaret Knoll, be prepared for great views which may produce images of Frigatebirds, Golden and Silver Bosun, Red-footed and Abbott’s Booby. Time to explore the rainforest for that special rainforest buttress and Strangler Fig shot, with a well-placed CI Red Crab! We will also explore South Point and the Blowholes where we will keep a look out for the CI Imperial Pigeon and the islands raptors. Evening sunset shoot with the whole group at Martin Point. The reverse of yesterday’s activities but no sunset shoot. Evening: Critique and Post processing after dinner. Dolly & Greta Beach are a must do on CI. An exciting 4WD track takes you down the rainforest clad terraces to a boardwalk that meanders through the rainforest to secluded Dolly Beach, a white sand, coconut fringed cove. This is one of the few places on the island where marine turtles nest. Nearby Greta Beach has steep steps that lead down to the secluded cove. 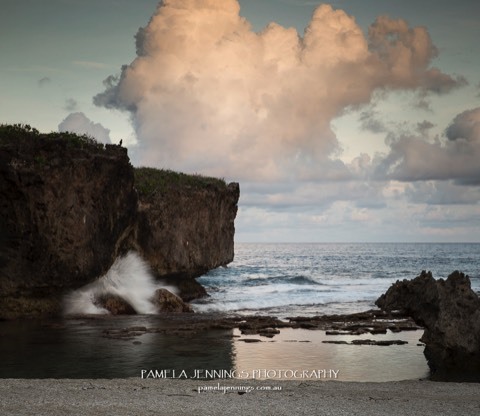 Fascinating rock formations, cliffs and outcrops provide creative photo opportunities here. Evening : Wildlife and Travel Photography Presentation by Mark Rayner. Sunrise at beautiful Golf Course cliffs. After breakfast we will visit the National Parks Blue-Tailed Skink breeding program in the middle of the island, and talk to the staff about their program to save these rare lizards. Later at the Territory Day Park, that overlooks Flying Fish Cove, we will visit the National Park’s seabird rehabilitation area for close up shots of Boobies and Frigatebirds, then take a rainforest walk or enjoy the vantage point at the lookout. Free time in the afternoon to explore the culture and history of CI. Farewell dinner around the pool at our accommodation. Our last sunrise shoot this morning. We can revisit the Booby chicks at Lily Beach before we prepare for our flight back to Perth. 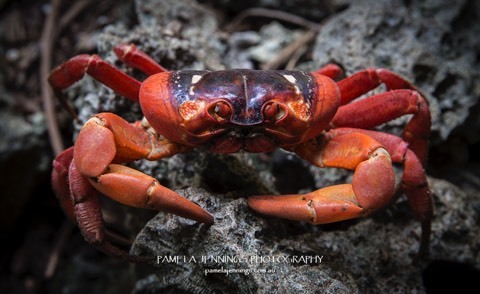 Pamela is a professional photographer who specialises in wildlife and wilderness photography of remote Australia. Based in Broome Western Australia, Pamela runs a selection of extended photography tours complimented by short Broome based workshops. She loves nothing better than jumping into the 4WD and taking people photographing and exploring the wilderness of the Kimberley. Her first solo exhibition was an outdoor installation on 2.5 metre cubes in Darling Harbour Sydney, during May 2015 as part of the HeadOn Photo Festival 2015. She was recently named 2017 AIPP WESTERN AUSTRALIAN SCIENCE WILDLIFE AND WILD PLACES PROFESSIONAL PHOTOGRAPHER OF THE YEAR. Cost for the photography expedition is $5800.00 (AUD) double occupancy. $600.00 deposit required to secure your position. Accommodation for 7 nights at “The Sunset” overlooking the Indian Ocean. This workshop is limited at 9 participants to ensure a high level of comfort and a high student/tutor ratio. The workshop is confirmed to depart as advertised. To book, please go to the enquiry form at the bottom of the page.